Freightbrain International Ltd can offer a range of Airfreight services, whether this be a small carton or a large charter, we can cover it. We have agent offices around the world who work with us arranging our customers shipments and when it comes to Air shipments having a good network which is tried and trusted is vitally important. We offer daily consols and direct back-2-back services to a wide range of airports throughout the world and are able to apply extremely competitive rates with all the major airlines – whether this be export from the UK or Import shipments. Collection (often same day) of your import and export shipments. Prompt bookings with airlines, including pre-booking of space when required. Rapid issuance of booking confirmation, flight information and air waybills. Customs Clearance at all the major airports. Competitive rates applied with a selection of airline options. 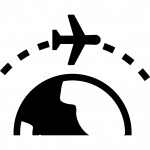 Direct flights and non-direct flights together with weekly consolidation shipments. Post-flight confirmation and POD’s when requested. Freightbrain International Ltd are also able to offer competitive courier rates – usually much cheaper than booking direct with the courier companies.